If you ever take a stroll down Telok Ayer Street on a quiet Sunday evening when most of the shops are closed, you will notice a small shop with a brightly lighted blue signboard which is packed with people. 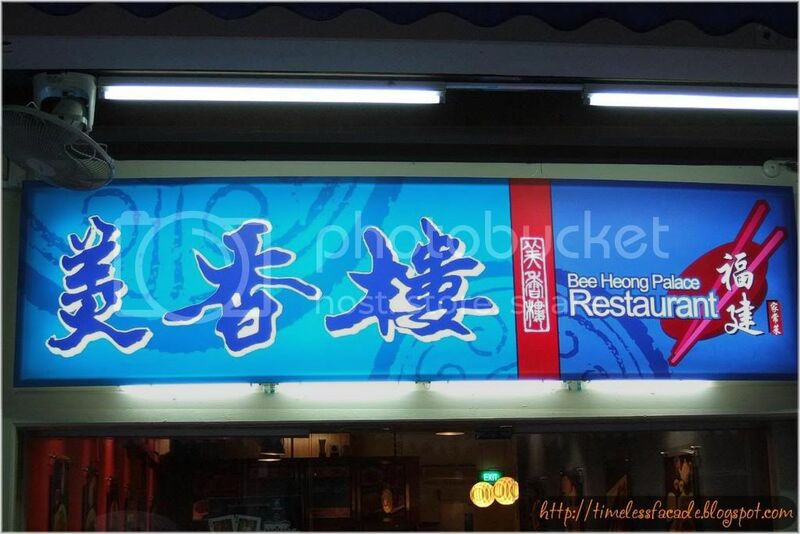 The signboard reads Bee Heong Palace Restaurant. 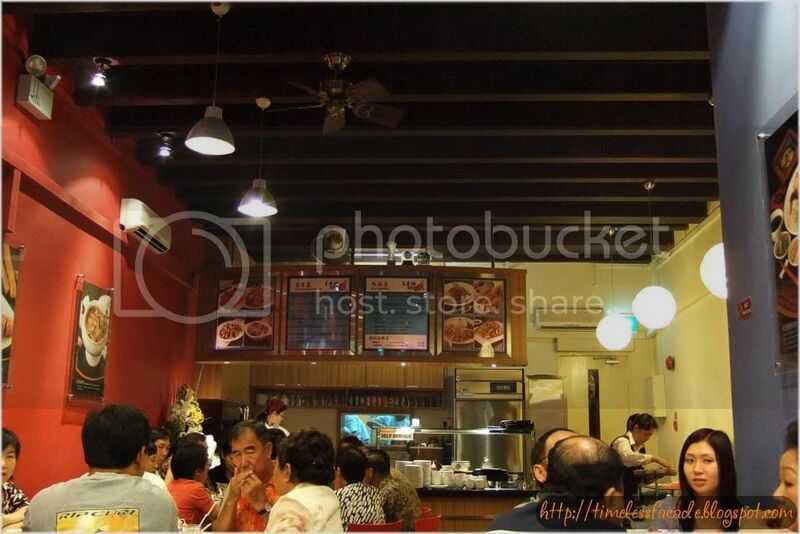 Known to many of the older generation as one of the finer Hokkien restaurants around, it used to be located at PIL building along Cecil Street for quite a number of years, but has since shifted to its current smaller premises. On this sleepy evening, we were lucky to get a table without making reservations. As mentioned earlier, the place is small. And by that, I mean cramp. You probably can fit about 30 people indoors and thats already a very generous estimate. I understand that they do have tables upstairs, but I didn't get a chance to go up, so no comments. This was probably one of the better dishes of the night. 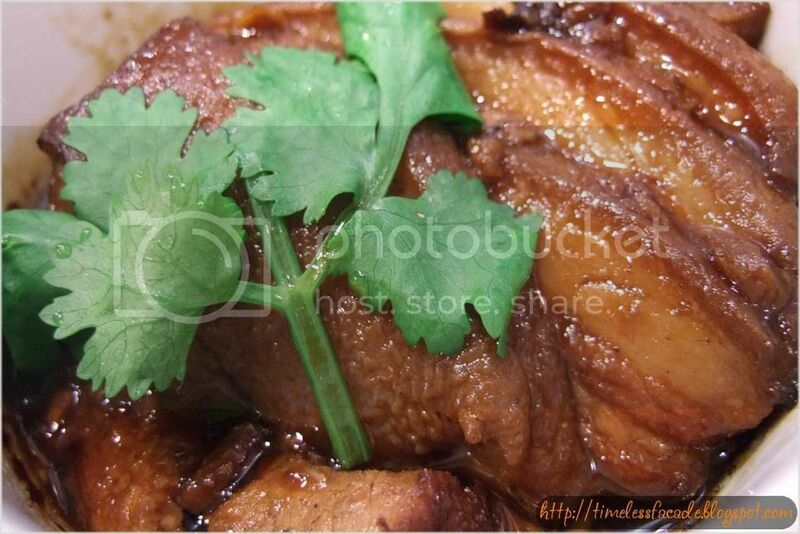 The skin was crispy and the filling had lots of bite due to the high proportion of minced meat. Here comes the problem. There was so much meat in the filling that I couldn't really make out any prawns except for small bits of shrimps hidden within the filling. Why call it Haer Zhor or Prawn Rolls when there hardly seem to be any prawns around? 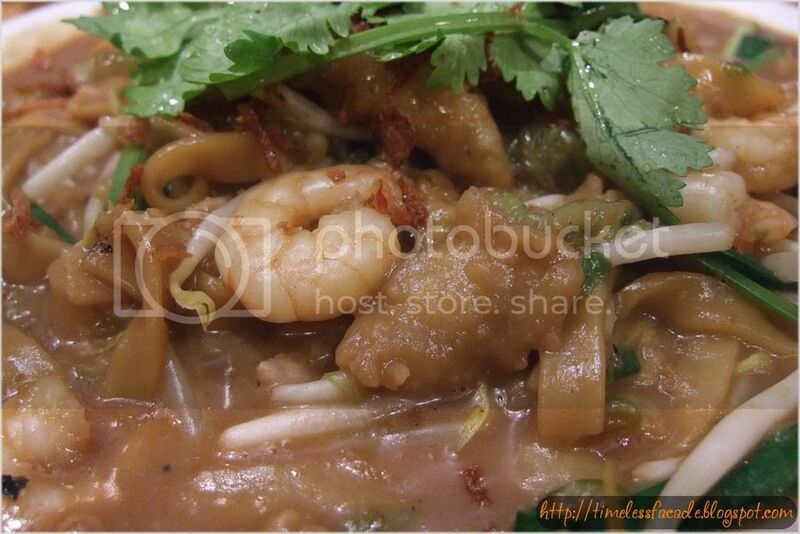 As the name of this dish suggests, its a must order when having Hokkien cuisine. The gravy appeared quite thick and starchy at first sight, but was in fact rather watery and tasted quite bland. The noodles tasted rather flat and didn't have the slight bitter aftertaste that I personally prefer. An above average rendition, but maybe I've eaten more than my fair share of Hokkien Mee to not be impressed by it. The simplest dish, yet the dish I liked the best. 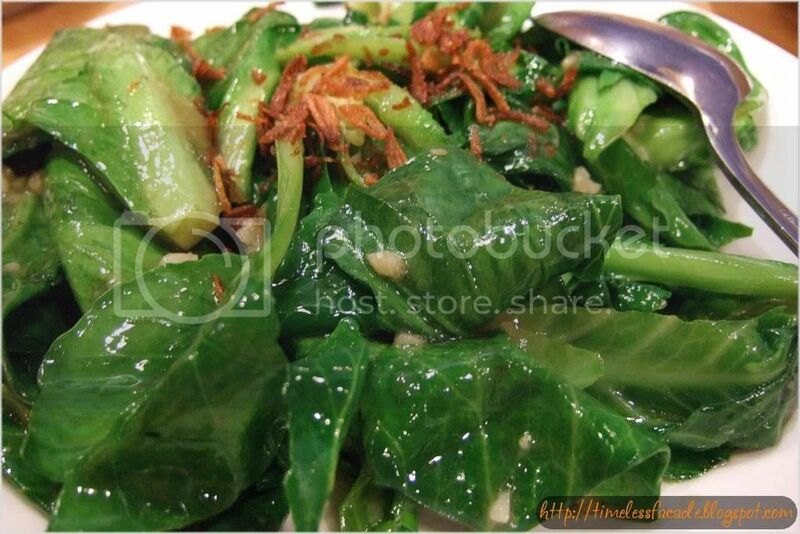 Green and bursting with freshness, the Kailian was stir fried just right with oyster sauce, fried onions and garlic. A no frills yet delightful dish. The soup was easy on the starch but tasted quite normal. 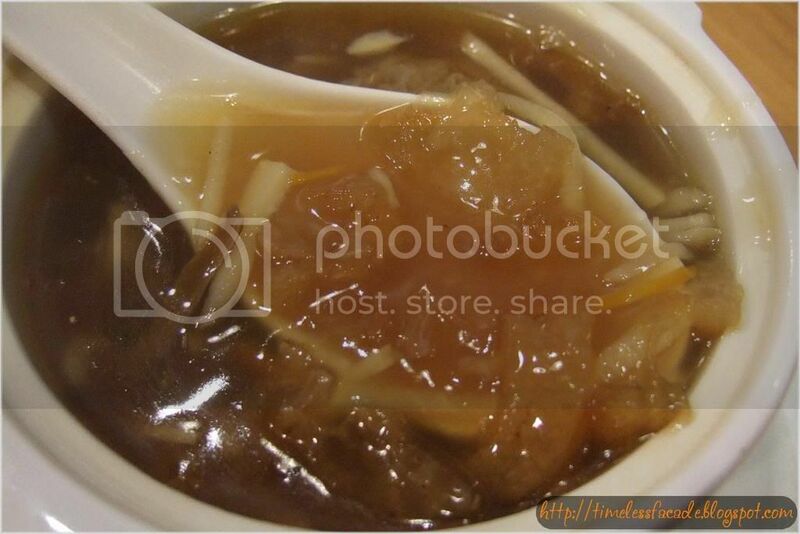 There were but a few slices of Fish Maw, but then again, what do you expect for a $3 a bowl soup? 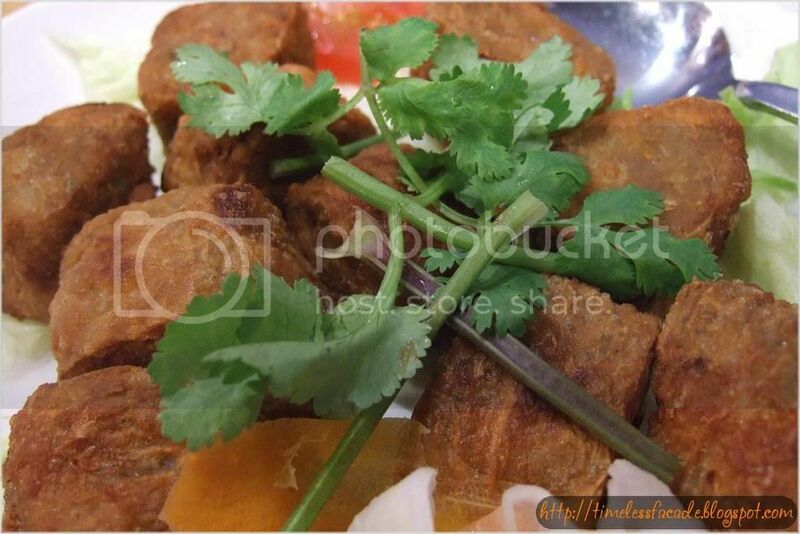 However, I would have liked it better if the slices of Fish Maw were slightly crispy, like the one I had at Beng Hiang. Kong Ba Pao - The key to increasing your cholesterol level and waistline served in the disguise of a soft and fluffy Pao. We had a small serving of it and was disgusted. First of all, the meat was ridiculously fatty. I estimated about 75% of the meat was fats. 50% is still marginally acceptable, but 75%? I really don't wish to die of a heart attack before I'm 30. Secondly, the gravy, which plays a pivotal role in this dish, was bland. No matter how much gravy I splashed onto the Pao, the taste was still very bland. Dinner didn't cost us a cent because it was a treat from my mum's boss(many thanks!) who we happened to bump into at the restaurant, but judging from the listed prices in the menu, it would have come up to about $40 for 3 pax, which is rather inexpensive. 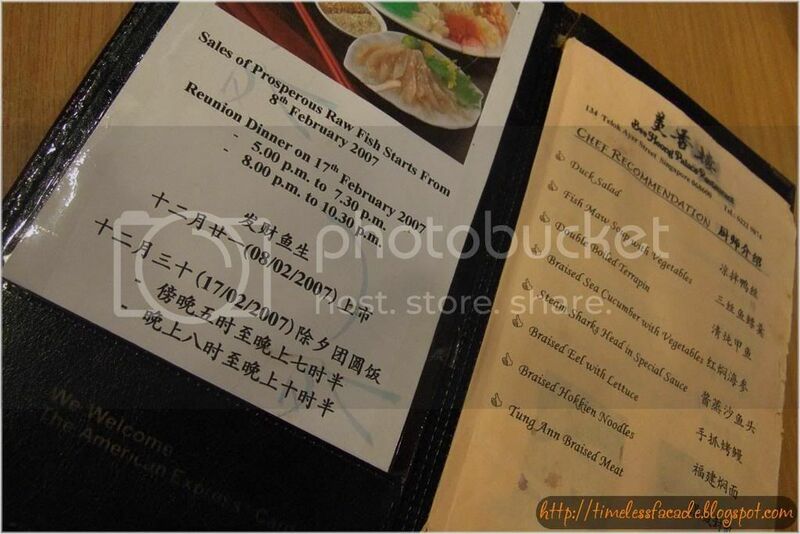 To be fair, the food wasn't really up to standard, but I would probably give it another chance(I'll order other dishes of course) since it comes highly recommended by my mum, who has dined there quite a few times. 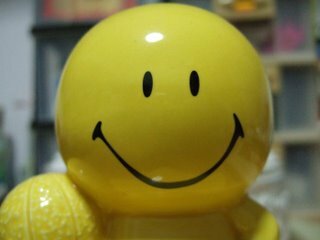 ...sorry to comment like that...but just want to point out... sublime = excellent.